The NHS Genomic Medicine Service is the world’s leading national genomic healthcare service. Launched in 2018, it harnesses the power of genomic technology and science to improve the health of our population. The service ensures that genomic medicine around the country is coordinated, consistent, and centrally managed at a national level. East Genomics brings together patient care teams, laboratories, and researchers to deliver the benefits of the NHS Genomic Medicine Service to communities across the East Midlands and East of England. Together, we’re converting cutting-edge science into better health for everyone. East Genomics is a collaboration between the best genomics professionals and services of our region: Patient care teams, a Genomic Laboratory Hub delivering a National Test Directory, a Genomic Medicine Centre, and clinical genetics teams. Enable faster diagnoses for patients with rare diseases, cutting years of uncertainty. Increase the number of people surviving cancer, thanks to more accurate and early diagnoses. Match individuals to the most effective medications and treatments. Contribute to research and developments that benefit individuals and families, the NHS, the field of medicine, and the national economy. The East of England is the home of genomic innovation. The term ‘genetics’ and the study of DNA were both born in Cambridge, the technique of DNA ‘fingerprinting’ was discovered in Leicester, and our region is rich in genetics-related research, teaching, and events. Between 2012 and 2018 thousands of individuals and families from the East of England participated in the 100,000 Genomes Project. This groundbreaking initiative, led by Genomics England and NHS England, reached its goal of sequencing 100,000 whole genomes from NHS patients with a rare disease, their families, and patients with cancer in December 2018. The information gathered through the Project is now powering our next leap in transforming treatments and diagnoses for people across our country. 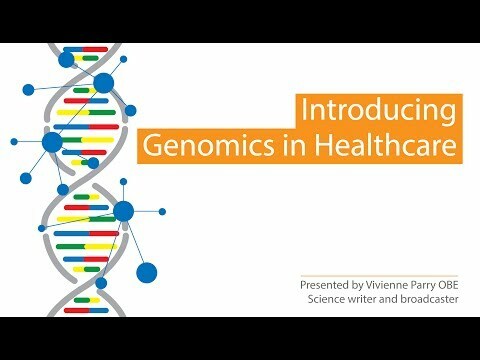 The more genetic information we have, the earlier clinicians can predict, diagnose and treat illness in a way that works best for every patient. Building on the success of the 100,000 Genomes Project, the NHS Genomic Medicine Service will make genomic medicine available to more people than ever before. It will give NHS patients greater opportunities to participate in genomic research for the benefit of their own health, as well as to shape future care. The Government has set a target to map five million genomes over the next five years and the NHS Genomic Medicine Service is a cornerstone of this vision.